By not relying on anyone except himself, Salvatore Rossi escaped a dead-end existence and reached the height of corporate success. 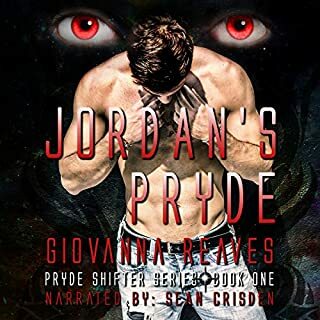 But just when he has everything he always wanted, fate throws Salvatore a challenge he can’t solve alone, and a young wolf-shifter comes to his rescue. I'll gladly give up forever to touch you. Salvatore Rossi is on the fast track with his career. He has no time for friends, family or relationships. Then a chance meeting with a 7 year old boy in an alley in Miancarem sets his life on an entirely different course. His only salvation is choosing the long life of a vampire over the decidedly shorter life of a cancer riddled human. Yoram Smith is a strong wolf, and he's know since he was seven years old that he has a true mate out there. He's even met the man, but as the years go on and Yoram grows into an alpha wolf he begins to wonder if his mate will ever come to him. 27 now, he hasn't seen his mate in a decade with no signs of the man. He feels like he's about to come apart at the seams now that he's the Alpha and he's being pulled in a million directions with no relief in sight. Salvatore has made it a point to stay away. He doesn't do any kind of relationship and he doesn't understand the &quot;true mate&quot; thing everyone keeps telling him about. What he does know is that the pull to be near Yoram is getting harder to deny. When he can't take it anymore he makes the trip from Vegas to Miancarem. He doesn't expect to find his mate about to unravel at the seams. The stress of juggling pack needs with his own needs are wearing him down. Sal and Yoram will need to work together to get the pack to embrace change and their relationship while learning to trust each other with their own needs. This story is amazing. When Sal and Yoram were apart my heart was breaking for Yorry. You could feel his despair and hopelessness as if it were a tangible thing. It made me want to throttle Sal for being so damn stubborn. Once they got it together, hot dog the chemistry was off the charts. If this is where the Mates series ends, it was a great story to end with. How does your heart not melt?!? I'm a big fan of Charlie David, I will listen to anything he narrates. He brought this story to life in such a great way. I was up until 3 am listening to this one, I just couldn't bear to hit pause. When staunch oldworld traditions come head to head with the reality of ever evolving reality, there's bound to be those that refuse to conform and challenge change. Yoram Smith met his true mate at the tender age of 8 years old. Of course he had no idea that was what he was feeling. All he knew was the man smelled amazing, he felt a pull to him and he would do anything to keep that man alive. As the boy becomes a man, his true mate, the one who's life he saved, continues to rebuff him. But Yoram refuses to give up on the man destined to be his love. Salvatori Rossi didn't have the best upbringing. As soon as he was old enough, he got as far away from his family as possible and starting a lucrative business that still strives to this day. The problem is, he's yet to find anyone he wants to share his success with. When a boy begs his uncle to save Sal's life, everything he thinks he knows, he starts to question. And when that boy becomes a man and desperately needs Sal's help, surprisingly, Sal gives it. This is one of the most well written and diversely characterized Shifter series you can read, in my humble opinion. With each new installment, more of the Shifter world reveals itself. The people, the laws and the stubborn, unyielding beliefs some of them refuse to let go of. I love the way CC weaves the different stories together. This book and the storyline ties directly into the other three books and perhaps gives details and information you were wanting from those books. But mostly, it's a love story about two men, both stubborn as hell, but also loyal to a fault. Narrated by Charlie David, need I say more. I absolutely love this mans voice. The different tones and nuances he possess and how he brings the story to life for the reader/listener. Definitely a must read series and I would stress starting with book 1 if you haven't already had the pleasure. Charlie David does a fantastic job narrating. He's got a nice deep voice but yet he can change the tone and depth to give each character their own "personalities". The story itself is actually kind of sad. Yoram finds his True Mate at a very young age, 7 to be exact. Only problem is, his mate was 30 at the time. Even then Yoram knew and tried to protect his mate, even from his own family. Fast forward 7 more years and Yori goes to visit Sal oy to be shot down, again. Sill, Yori doesn't give up "taking care of his mate" . Sal may not know about true mates an bonds, as he has been turned into a vampire but Yori's uncle, Miguel. So he isn't quite sure why human blood just isn't enough for him. Even after getting blood bags donated by an anonymous gifter, he still resists. He knows who it's from, but all he can remember is that child that showed up in his office, and he cannot reconcile between the two. So when his donations stop coming for a few months, he gets a little nervous and finally decides to bite the bullet and make a trip to the Pack lands. it wasn't really instantaneous love/lust...it was spread over two decades. I like how Yori pits it though, with all the turmoil of the old pack Alpha, Sal would have never been accepted and Yori would have been thrown from pack, therefore never becoming alpha. CC never let's us down though, we ALWAYS get our HEA. This one was a great one too. I loved that Sal was helping to update the pack in technology and education, to keep them moving forward and being a self sufficient pack. 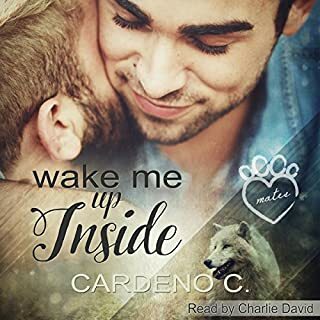 Charlie David returns to narrate the fourth, and final, book in Cardeno’s wonderful Mates series. Many of the characters from the series also return for this installment making it a reunion for the reader. I love that there’s continuity throughout the series by using the same narrator so you have consistent character voices, which makes this even better to listen to on a binge with all four books. 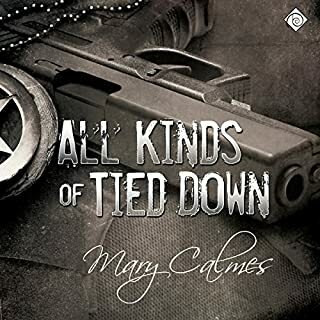 I really appreciated the dual POV, especially with the audio, because by telling the story from both Yorry and Sal’s points of view the reader gets a better understanding of where each character’s coming from throughout the story. I loved the story, the characters, the cameos, and how everything eventually plays out. I feel like To Touch You is a really wonderful ending to a truly entertaining series (even though I still hope this isn’t really the end). If you’re looking for paranormal stories with passion, humor, multi-dimensional characters, and terrific HEAs, I’d absolutely recommend this series. This is book 4 in The Mates Series, and the last one. You don't need to have read the other three, but there is some overlap with books one, Wake Me Up Inside and book 3, In Your Eyes, so there may be spoilers, sorta, kinda. Yoram Smith is 7 years old when he first meets Salvatore Rossi, and he knows nothing but the pull of his scent. Sal is, in Yoram's eyes, his friend. It takes a turning of Sal to vampire and over 20 years before Sal finally admits that Yoram is his mate. I LOVED this final installment in the Mates series! I really did. But I can't split the narration from the book, so the lines might be a bit blurred on this one. I read this book, in December 2017, and I was going through a rough patch, so didn't actually write a review for it, then the audio came through the blog for review, and I had credits available, so I grabbed it. SO glad I did! I loved Charlie David's narration, his voices especially. Yoram is 7 when we first meet him, and I was curious how David would change his voice as he grew. Nailed that one, I tell ya! At7, at 14 and as a full groan Yoram, his voice is the same but different, if that makes any sense? I could tell it was Yoram at every step of the way. And trust me, it's a very long way these two took to finally get together! Sal doesn't fully understand the workings of being a vampire, he finds no joy in feeding and certainly not socialising with them, but he HAS to feed. Until the blood turns up on his doorstep, and THAT blood is different. Takes him a while to figure out where it's coming from! I loved that Zev and Jonah ( book 1) and Samuel and Korban (book 3) play a part here, but I especially loved that Ethan and Miguel are a HUGE part of this book. When I read this, I could hear the voices of these guys but they weren't right, not at all. So it was great to be able to catch up with them here. I loved that, once Sal finally dug his head out the sand and returned to Yoram, he was all in, totally and utterly.